Home Blog The best Christmas shopping Alt-team add-ons. The best Christmas shopping Alt-team add-ons. It is November! Black Friday is coming soon and Christmas around the corner. 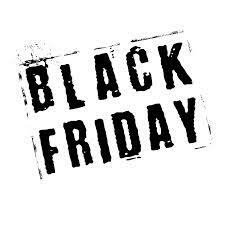 Black Friday and days before Christmas are very busy period for shopping. Many customers spend a fortune on Black Friday and on Christmas presents. Your e-shop should have an ability to cope with the increasing number of e-shop visitors and provide the clients with a quality service during the year end sales. We have made a special list of CS-Cart add-ons developed by our company that help you with sales during this rush season. Multiple Deals for CS-Cart v3.x.x. and Multiple Deals Plus for Cs-Cart v4.x.x. add-onsThese add-ons help you to attract customers to your promotion and motivates them for purchasing. Multiple deals Plus add-on has a countdown that you could place on the main page of your online shop or on the product page during the Christmas sales or on Black Friday day. Social networks autopost for CS-Cart v 2.x.x.-4.x.x. Social nets are very popular today. You can not deny that your prospective customers can be active users of social nets. 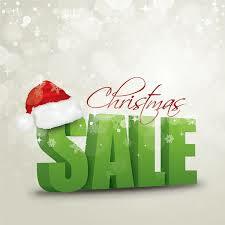 Do not miss a chance to inform them about your Christmas discounts in facebook, twitter or Google+. Save the time by avoiding the posting news in these social nets manually.Use Social Networks autopost. Blog for CS-Cart v 3.x.x.-4.x.x. We are sure that you have news and knowledge to share with your customers. There will be very popular themes on Christmas days: What presents should you give close friends? What items are better to present your boss? Or what garments you should choose on Christmas holiday. Write the interesting articles about Christmas presents, outlook or places to go and post it on your online shop via Blog add-on. Banner’s text for CS-Cart v. 4.x.x. Banner is one of the main business tools. It catches the customers’ attention once he opens an online shop. Creating the right banner with the clear message to buy the product described on banner or order a service the banner is about with an attractive button “Buy it”, “Order it”, “View a product” and etc you could boost the Christmas sales in several times. Clone promotion for CS-Cart v 3.x.x.-4.x.x. The end year sales are busy days. Make your best to save your time for your clients, not for administering the website. Clone Promotion is useful for online shops that has complex promotions and run them simultaneously. Using Clone Promotion add-on you have to press only one button to get the copy of an existing Promotion. That will give you the ability to spend your precious time for the important things not for make setting in promotions. Buy in 1 Click for CS-Cart v 3.x.x.-4.x.x. Everybody is short of time during the Christmas sales. So treat with respect to your customers and they appreciate it. Give them ability to make shopping fast and without any delay and they recommend your web store to their friends. As there are many people shopping around in the internet on Black Friday and before Christmas, it would be great to prepare your online store for a load. 7. Cache for anonymous users for CS-Cart v 3.x.x.-4.x.x. More people browsing your online shop, more possibility they buy something from you. Make your website faster for your visitors and they will like your web shop. If your pages load in a second, customers can visit more pages at a session. Quick page loading does not nerve the customers and besides it is good for SEO. 8. Video Manager add-on for CS-Cart v 4.x.x. What about Christmas speech from your company to the customers? Can it be true that you do not want to wish your customers a Merry Christmas? If you strive for the customers, you should woo the audience. Posting a Congratulation on video will help. Also, Shop by brands for CS-Cart v 2.x.x.-4.x.x. and FAQ for CS-Cart v 2.x.x.-4.x.x. add-ons may be useful for your business and place aside your and your clients time. Remember that Black Friday and Christmas period is a challenging time but if you organize the purchasing process on your online store correctly, you will be rewarded with high profit. Time Management works for you. Do your best to save your clients time. Prepare your website for loads. Give your customers advice about Christmas presents or other things that should be useful on Christmas time. Happy Black Friday, Happy Christmas and Happy New year sales!